This month, we’re celebrating Healthy Moms and all the ways they take care of their families. Ella Health Physical Therapist Jane Lee Quach shared how she got her healthy outlook. There are so many things that we learn from our mothers. They are our first teachers, our mentors, and our friends. 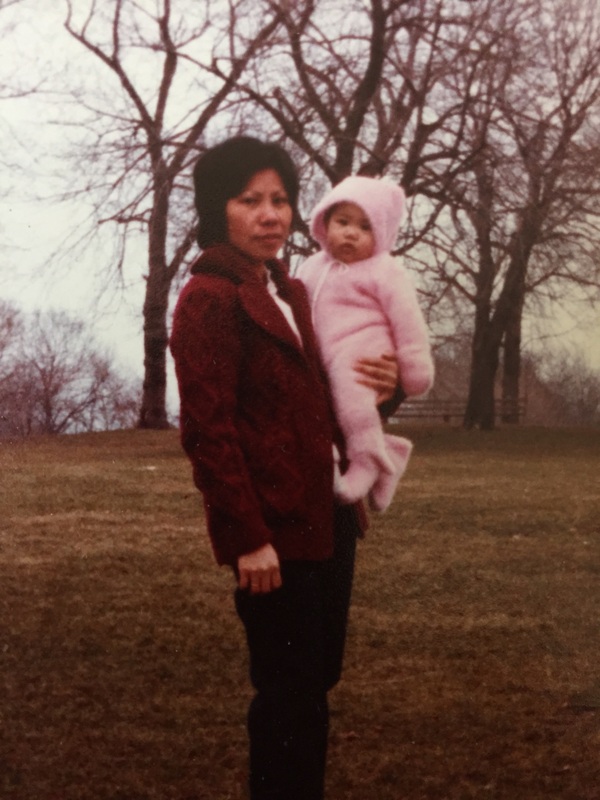 My mother Nuoi Quach is an amazing and inspirational woman. I am the youngest of four children. We were a handful, I imagine. She may say that we all still are. She has and continues to teach us to love and respect our family, friends, and most importantly ourselves. In order for us to love and respect ourselves, we had to take care of ourselves. We learned how to make deposits into our “health accounts”, so that in the future we would be rich in health. Vegetables and fruit were heavy in the Asian food pyramid. In fact, fruit was always the dessert of choice. Vegetables were a part of every meal, and up to this very day, I still seek the greens. After dinners, we were all conditioned to go out for an evening stroll “to digest.” Now, I realize it was a way for us to spend time together and exercise. Every free chance we got, we biked, we went to the pool, we played outside, we got out of the house and participated in some physical activity until the next meal. It’s nice to think back to those days when we played baseball on a real field rather than on our iPhones. Not only did she teach us about nutrition and physical activity but also, when we didn’t even realize it, she was instilling in us the importance of quality time with family and friends. She taught us that when you spend quality time with those who are important to you, you are able to form support networks, which help to decrease stress, and improve emotional and mental health. I learned that it’s important to spend time with those that make you laugh and smile, they are also the ones who inspire and challenge us to be better. Thanks Mom! Thanks for the many, many,…..many challenges!